I've read some Gerald Morris in the past - this pastor is quite famous for the Arthurian stories he's written for teens – but I had no idea he could be so funny. Morris is once again writing on King Arthur and his court, but these book are meant for younger crowds, maybe Grade 2 and up (though if daddy reads it, even kids as young as 5 will probably enjoy it). And to play to this younger audience Morris has crafted some fantastic, chapter-long jokes. Maybe the best way to review it would be to share one of the jokes. The very first has to do with Sir Lancelot's wish to join the Round Table. He wants to be one of King Arthur's knights because, "They have the bravest hearts, the noblest souls and the shiniest armor in all the world." Lancelot, at least in the early going, is a little obsessed with his appearance and Morris has great fun with this. On his journey to Camelot, to introduce himself to the King, Lancelot gets caught in a rainstorm, and his armor ends up getting "splashed all over with dirty spots." When at last the rain stopped, Sir Lancelot turned his attention to his spattered appearance. Moving his lance to his left arm, he drew a towel from his saddlebags and began scrubbing at his armored legs. Soon he was absorbed in the task, paying no attention to where his horse was taking him. Looking up, Lancelot sees a knight bearing down on him, and thinking him one of those roving evil knights and "having no time to shift his lance to his right arm...he met the knights charge left-handed, popping his attacker very neatly from his saddle." Right after, another knight attacks him, which is getting Lancelot quite annoyed, as it is interfering with his cleaning efforts. But he quickly dispatches that knight too. And then another attacks! This happens 16 times to Lancelot's dismay, and after the 16th knight was dispatched, Lancelot hears clapping. It turns out he had wandered into a tournament unawares, and won it quite unintentionally, while using his lance left-handed. Then when he finds out the King himself is the host of the tournament and wants the noble knight to join the Round Table, Lancelot is distraught. Why? "Look at me! I'm all covered with mud! 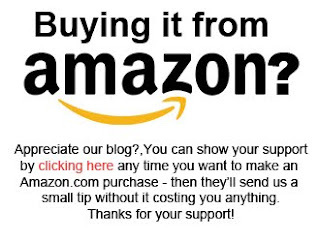 And I did want to make a favorable first impression!" The rest of the book is more of the same – my girls were laughing out loud, and I was having a great time too. Wizards, and sorcerers, and magicians, oh my! I have no real cautions to offer for this book. The most juvenile humor in the book is when Sir Lancelot gets shot in the behind with an arrow. That gets some good laughs from the kids, but doesn't get anywhere near the realm of potty humor. I will say I was a little surprised when one knight ended up dying (after eating a poisonous pear) because Death doesn't make an appearance in most kids books. But it isn't a big part of the story and didn't seem to shock my girls. So the only real reservation I have has nothing to do with this book, but rather others in the series. Morris has written 4 books in all in this The Knights' Tales series, and in the other three (not this one though) magic and sorcerers make appearances. That should really be expected in an Authurian story; magic is a big part of the original after all. But in the Bible God condemns sorcery, so when a positive portrayal of it pops up in fiction, that should give us pause. In Book 2, Sir Givret the Short, the only magical reference is where the magic is clearly and admittedly fake - Givret pretends to be a sorcerer to scare an evil knight (Givret is short, but he knows how to use his brains). So no reason to be concerned here. And in Book 4, Sir Balin the Ill Fated, a seer pronounces doom and gloom, though by book's end it seems that she was, most likely, a fraud. The problem is, kids might not get that. There is also a wicked invisible knight who can use magic to turn himself invisible - I don't have much of a problem with that, as the wicked do indeed try to make use of magic. My concern is about when magic use – which God condemns – is portrayed positively. That's what happens in Book 3, Sir Gawain the True, where a friendly sorcerer befriends Sir Gawain. Friendly sorcerer? Now, the sorcerer is not Morris's creation – he is a part of the original Arthurian legends – and that seems a factor to consider but this is the one book in this set I might not check out of the library again. I have to admit as to not knowing quite what to think – good sorcerers are a lie, so should we be encouraging our kids to read books where this lie is furthered? And at the same time, Arthurian stories have history to them, and it strikes me that this is a lot like learning about Greek gods – they can do "magic" too – but knowing about them is simply a part of being educated. Of course there is a big difference between reading about something for educational reasons and reading the same things simply for entertainment. We can tolerate some things for educational reasons – for example, news reports that might have graphic violence – that we would have reason to avoid when it comes to entertainment. So it would seem positive portrayals of sorcerers are more problematic in entertainment than they would be in strictly educational settings. What do you think? Anyone have some thoughts to contribute? 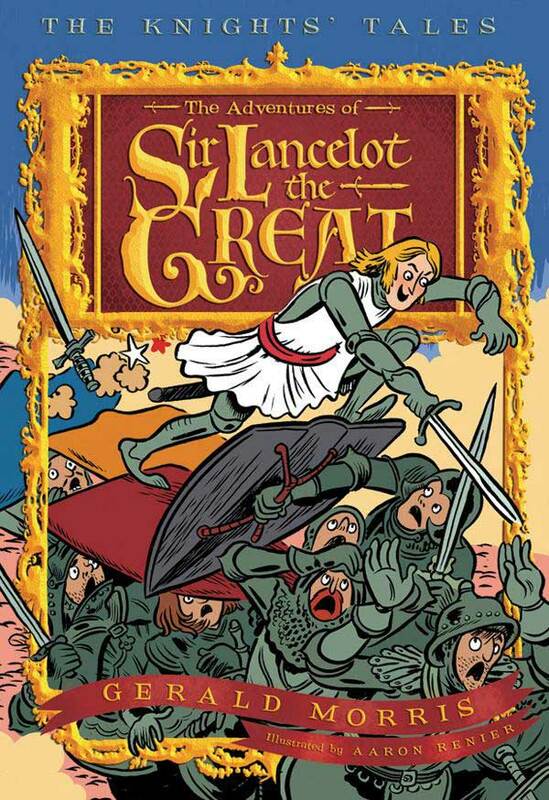 Magic concerns aren't relevant in Sir Lancelot the Great so I recommend it unreservedly. It was one of my favorite books this past year because of how much it made our girls laugh. While magic makes a minor appearance in Books 2 and 4 I would also recommend them because this is magic of either the fake kind, or the magic use is done by villains. The only one I would not recommend is book 3, Sir Gawain the True. Or, at least, I won't be recommending it until I have a better understanding of proper and improper use of magic in literature. 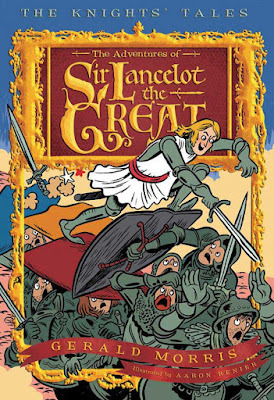 You can pick up a copy of Sir Lancelot the Great at Amazon.ca here and Amazon.com here. I'm not sure whether this makes the Sir Gawain stories more acceptable, especially to young audiences, especially for mere entertainment, but it is worth noting that in the original "Sir Gawain and the Green Knight," the Green Knight seems to be not so much sorceror-like as 'god'-like, perhaps even Christ-like. In other words, there is something allegorical about the story, as the Green Knight tests Gawain's integrity, just as Christ tested several people during His earthly ministry, and the Holy Spirit tests our hearts and consciences now. 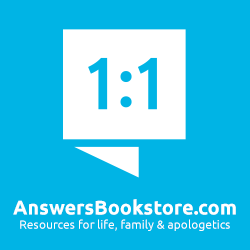 Does the allegory "'work' - meaning "Does it glorify God (or does it dishonour Him)"? That is a matter of judgment, but I would recommend an adult reading the entire original story (which also has other problematic elements because of its Roman Catholic context) before reading any versions to their kids - as you seem to be intending to do. You can find the entire story online - a prose version at http://www.yorku.ca/inpar/sggk_neilson.pdf and a more poetic version (but with more archaic language) at http://www.yorku.ca/inpar/sggk_weston.pdf.